Infinitely winding roads curve over streams and beside vast stretches of vineyards that used to be tobacco fields. They pass hillsides dotted with foliage just starting to show the colors of the season and wrap around a myriad of family-run wineries in mid-harvest. Sooner or later, these roads lead you to a small town main street, a lively tasting room, or maybe a wide spot in the road where locals have been cooking their prized barbecue for generations. This is North Carolina’s Yadkin Valley, a natural beauty full of some of the state’s finest vineyards and most skilled winemakers. Across North Carolina, the wine industry is booming. 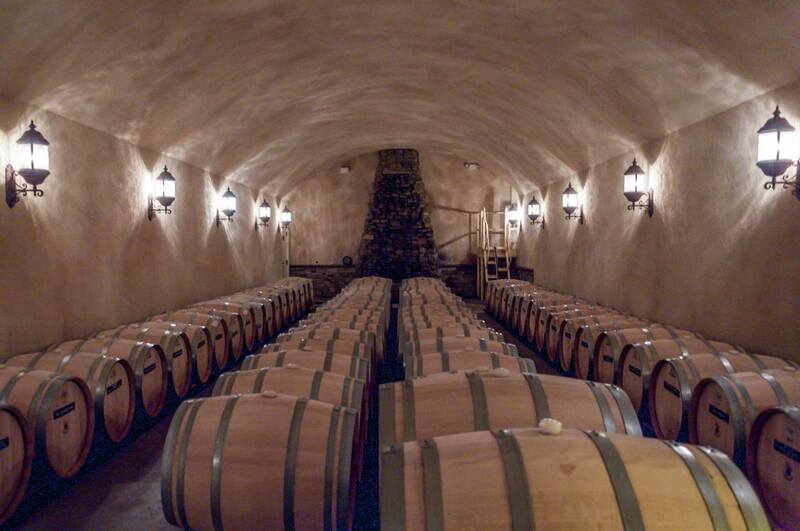 In only 15 years, the number of wineries has quadrupled to well over 100. 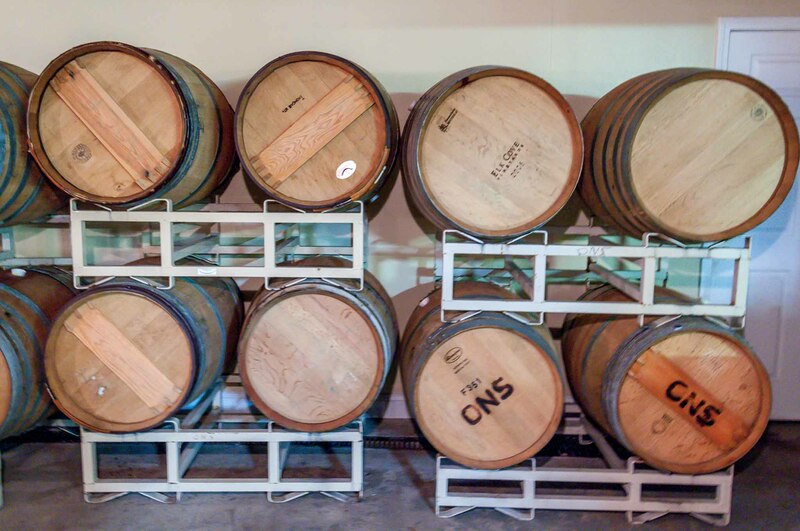 From boutique vintners focused on small batches to larger operations selling their best offerings across the South, over one-third of these producers are Yadkin Valley wineries. The Yadkin Valley was North Carolina’s first American Viticultural Area (the term for a designated wine grape-growing region). It covers a staggering 1.4 million acres. 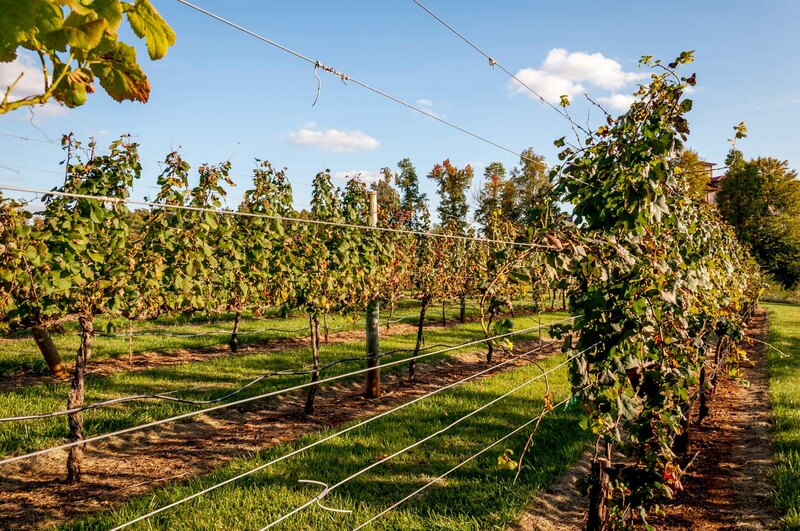 Here, and across the state, the industry has two focuses — native Muscadine grapes and European-style grapes referred to as vitis vinifera. Muscadine grapes, cultivated in North Carolina since the 16th century, tend to produce a very sweet wine. This is partly because sugar is added during the winemaking process. Vitis vinifera grapes — such as Viognier, Pinot Grigio, Sangiovese, or other varieties often identified as European — may be used to make sweet or dry wines that often have more structure and complex flavor. With so many different wineries and various kinds of wines to try, it’s hard to know where to focus your time. 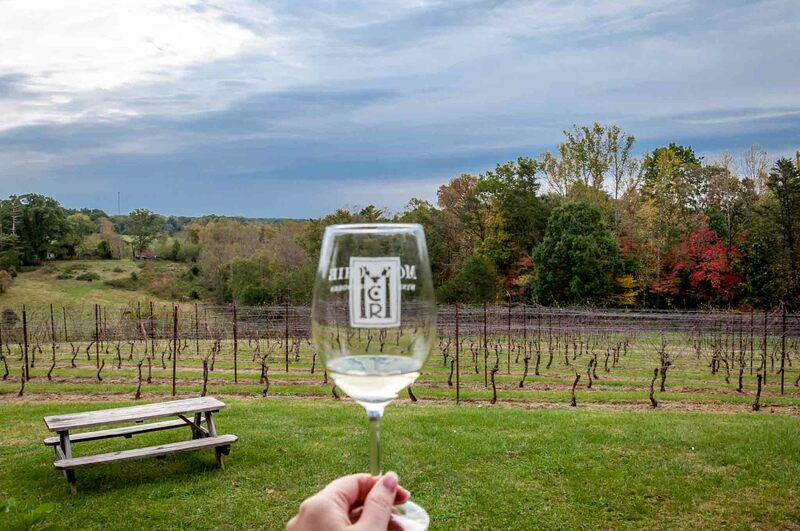 Here’s a look at nine Yadkin Valley wineries where you’re sure to find some of the best that North Carolina has to offer. Childress Vineyards is a destination winery in the Yadkin Valley. From its vast tasting room to its showcase restaurant to its regular outdoor music, Childress Vineyards has all the things that will make you want to relax and stay for a while. Owned by former NASCAR driver and race team owner Richard Childress, Childress Vineyards is more than just beautiful grounds and a striking event space, however. Winemaker Mark Friszolowski specializes in European vitis vinifera such as Sauvignon Blanc, Viognier, Sangiovese, Cabernet Sauvignon, and Petit Verdot. He has crafted more than 30 world-class wines – red and white blends and single varietal wines, specialty wines, and a few select sweet wines. Sweet potato fry perfection at The Bistro at Childress Vineyards. Yum! 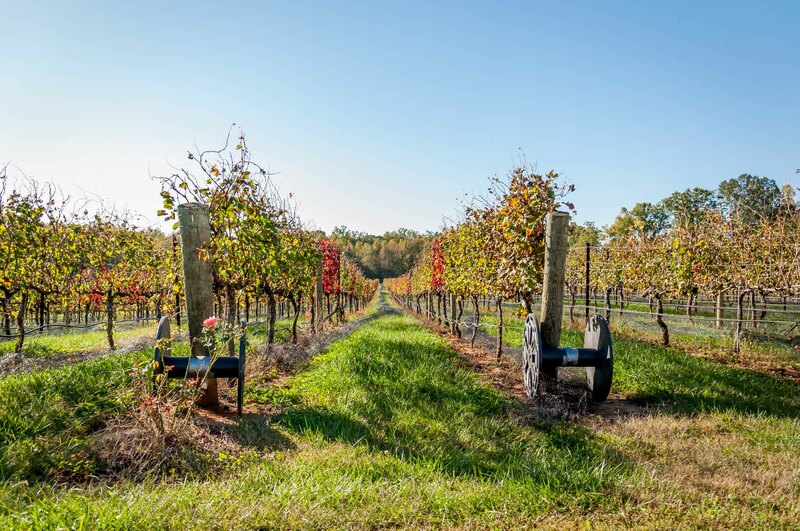 Since opening its doors in 2004, Childress Vineyards has expanded its offerings and grown into a significant player in North Carolina’s wine industry, with its wines known across the state and beyond. Tours and tastings are available daily. 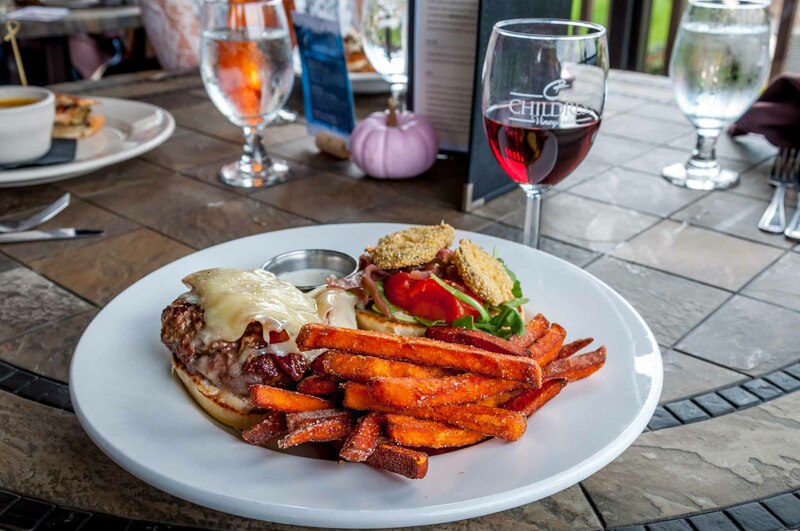 Lunch is also available every day in the upscale restaurant, The Bistro at Childress Vineyards, which serves high-quality seasonal specialties with the bonus of sweeping views of one of the vineyards. 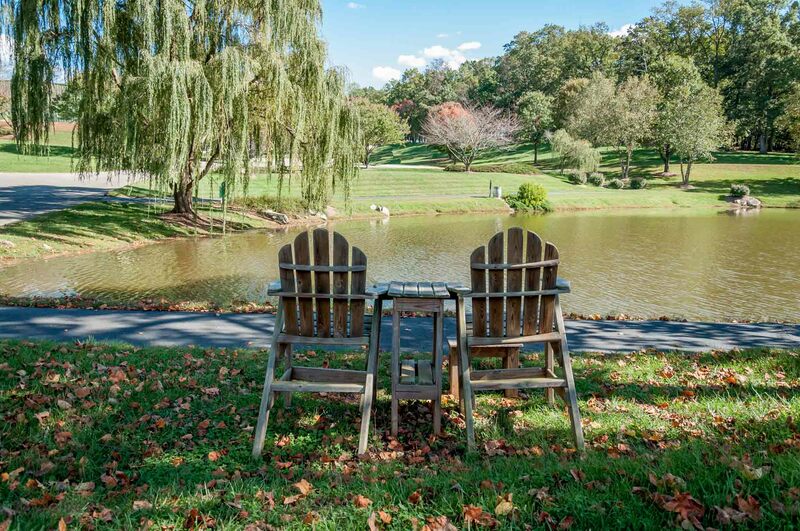 This is a place to grab a glass and lose yourself in the perfection of a North Carolina day. You only have to hear the name to know there is something unique about Native Vines Winery. Set back from the highway down a dirt road on land that has been in the family for over 200 years, the winery is housed in a building previously used as the family stable. Here, over the last 20 years, owner and winemaker Darlene Gabbard has evolved something that began as a hobby into a distinctive, thriving business. Native Vines Winery is the first American Indian-owned vineyard in the United States. A member of the Lumbee Tribe of North Carolina, Gabbard has an environmentally sensitive approach, minimizing pesticides and avoiding the addition of sulfites to create the purest product possible. Even the wine labels reflect the earth and Native American heritage. They feature arrowheads, which can still be found on the property. 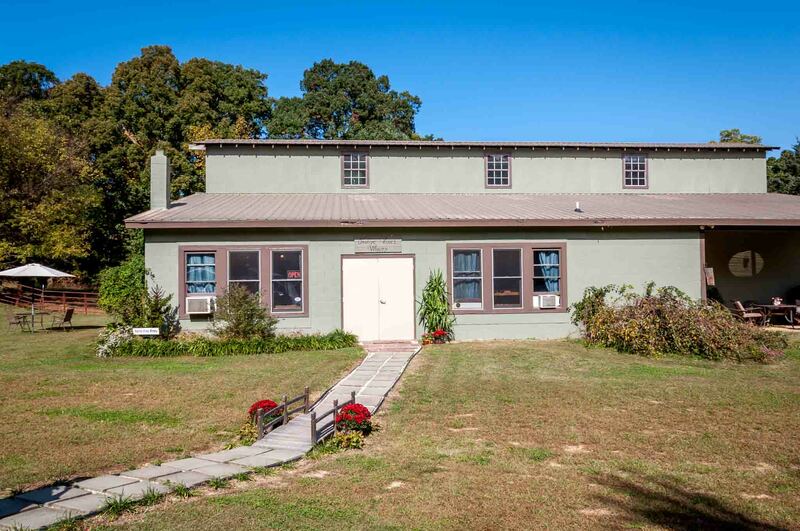 The winery is one of the oldest on the Yadkin Valley wine trail. It began in the late 1990s as a way to use the apples and blackberries growing on the family’s 36-acre property. From there, grapes were added, including Chenin Blanc, Riesling, Pinot Noir, and other European varieties. Gabbard didn’t stop at the traditional. She also uses various teas as the bases for her specialty wines. (“You can ferment anything!” she says, with a smile). 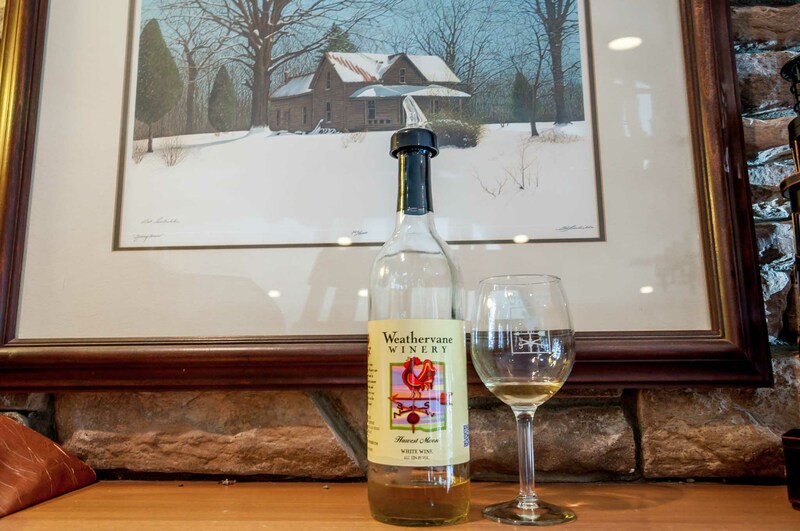 With a variety of red, white, sweet, and fruit wines, Native Vines Winery has something that will please just about every palate. At the end of a gravel road that separates the vineyard from the field stands the open-air tasting room of Junius Lindsay Vineyard. Many weekends, this land is full of music and flowing with French-style wines as visitors enjoy the casual setting and upscale offerings. Beginning in 2004, Michael Zimmerman planted this ground — part of his family’s century-old farm. He named the Yadkin Valley vineyard for his grandfather who grew grains, hay, and sweet potatoes on the land decades ago. Drawing on Zimmerman’s experience in France as part of the U.S. Foreign Service, the land is now home to a variety of Rhone Valley grapes, including Viognier, Roussanne, and Syrah. 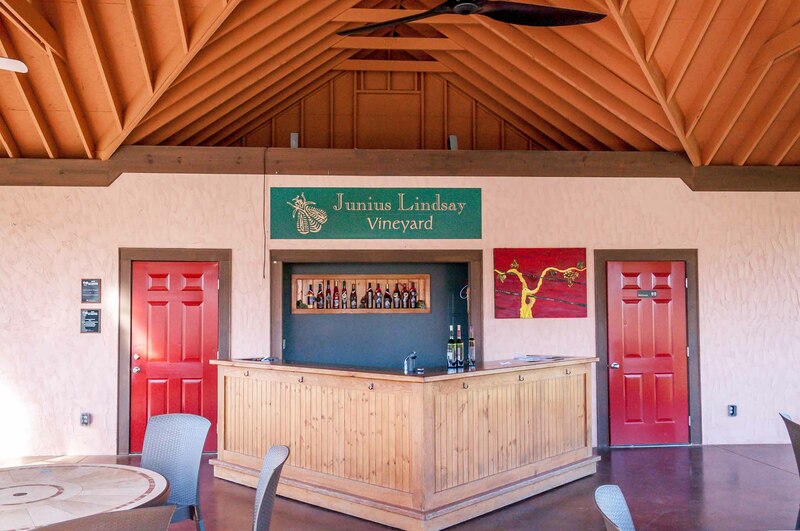 Junius Lindsay Vineyard, a boutique winery, serves estate-bottled wines. Their Old World-style of production focuses on blends that bring forward the particular character or their terroir in this region, resulting in complex flavors and sophisticated wines. It’s a little bit of France in North Carolina. An increasingly common theme in the industry, Weathervane Winery developed out of hobby winemaking. This time, it was in owner Sid Proctor’s basement. 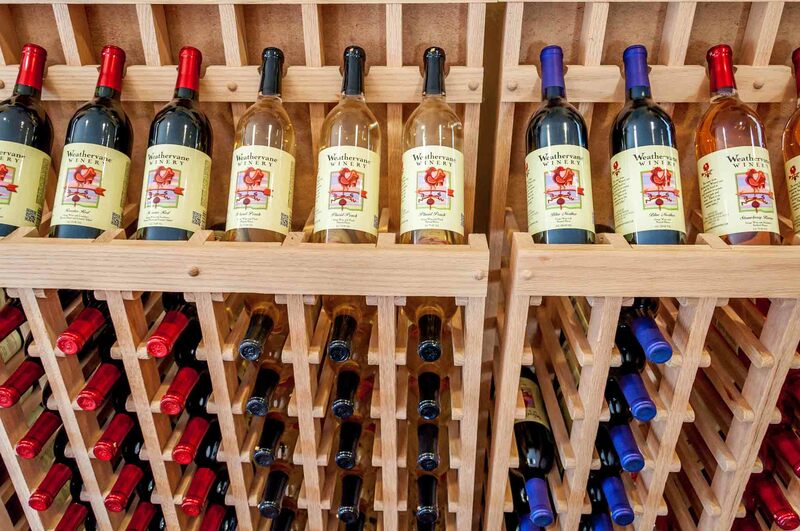 In the 11 years since they began, the company has grown to produce a variety of 19 red, white, and sweets wines that are now sold throughout North Carolina. 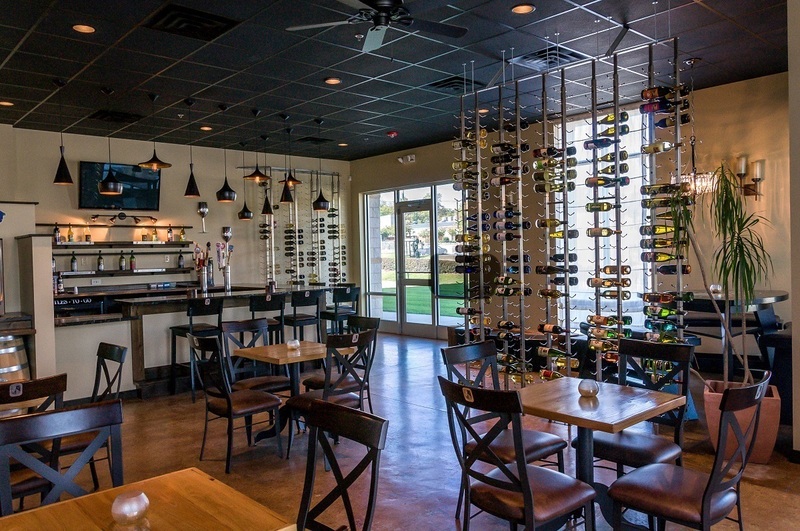 With a specialty in sweet wines, Weathervane Winery prides itself in its hands-on approach. In their words, nothing is “mass produced” or held in large storage tanks for aging. Instead, everything is done by hand with estate-grown and other local grapes to ensure that each bottle is the best it can be. The winery is a hopping place. On any given Friday, you can find them hosting “Wine-Down” Friday night, featuring food, wine (of course), and fun. They also host weddings and other events on the property. From the outside, it looks like many other bars in downtown Winston-Salem. But once you walk through the door and see the self-service wine dispensers and taps in the wall, you know Carolina’s Vineyards & Hops (CV&H) is definitely not typical. The tasting bar carries only products produced in North Carolina. That means that everything from its cheeses and charcuterie to its many wines and draft beers are all the definition of local, sourced from producers across the state. A stop at CV&H allows visitors to see a snapshot of the best of what’s available in North Carolina without having to drive miles to get it. And since the menu rotates every two weeks, there is always something different to try. The company’s mission is to educate consumers about the range of great products made in North Carolina, and they’re succeeding at every turn. In addition to its partnerships with the over 100 wineries in North Carolina, CV&H has also begun making its own line of wines. They feature a red blend, a Pinot Grigio, and a sparkling white, with more slated to be available soon. Their tasting room-only sangria, based on a family recipe from Spain, is also one of my personal favorites. If you’re interested in a fun, easy way to try the finest products from Yadkin Valley wineries and beyond, get here quickly. Walking up to Shelton Vineyards, the first thing you notice is the sheer size of the place. 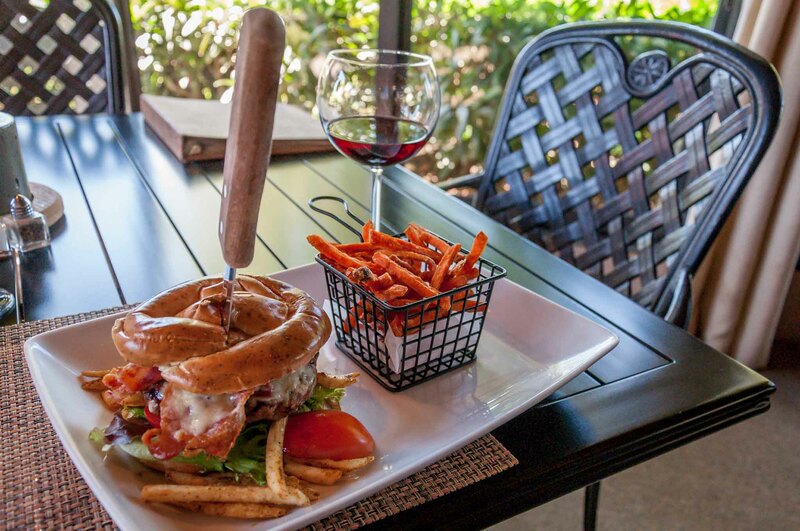 The massive 400-acre estate in Dobson is home not only to the vineyards but also to the Harvest Grill – the property’s upscale bistro restaurant – and a seemingly endless amount of beautifully landscaped open space for visitors to enjoy. The Shelton brothers, Charlie and Ed, opened the vineyard in 1999. Then, it was at the forefront of the booming North Carolina wine industry as only the second of the Yadkin Valley wineries. 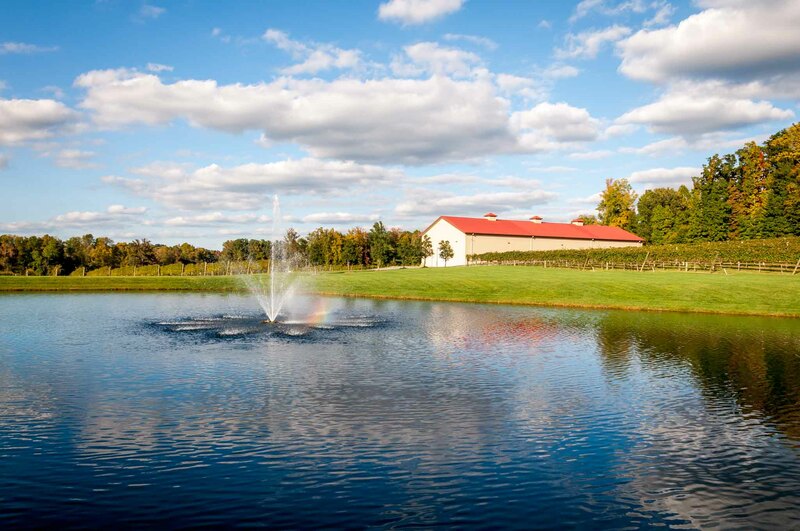 Now one of the largest wineries on the East Coast, they still pride themselves on their family-centric approach, with the second generation overseeing the operations of the winery. Drawing on its mineral-rich soil and a climate similar to some of the best wine-growing regions in Europe, Shelton Vineyards focuses on a variety of European-style wines. Estate state-grown vitis vinifera grapes include Cabernet Franc, Chardonnay, Cabernet Sauvignon, and Riesling, among many others. Once pressed, the juices make their way through the winery’s state-of-the-art gravity flow system before being aged or bottled on-site. Each action is done with an eye toward producing the best quality product, which has propelled Shelton to international success. Right in the middle of downtown Mount Airy stands Old North State Winery. With its slick tasting bar, food offerings, and regular open mic and musical performances, Old North State is a one-stop-shop for fun in this cute, small town. 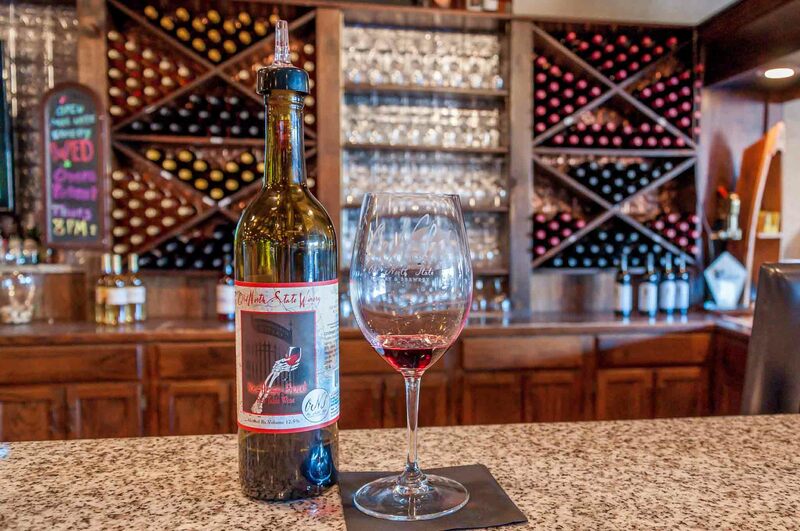 Founded in 2002, Old North State Winery offers a wide selection of red, white, and sweet wines. 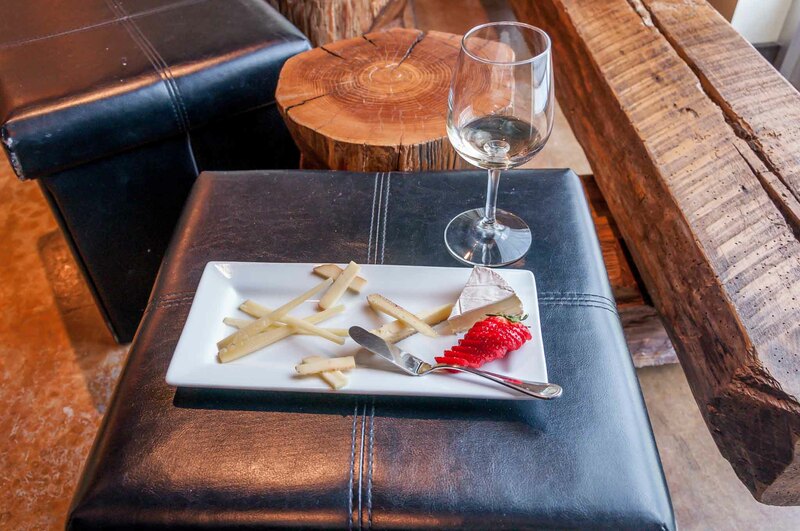 The wines are all produced and aged below the tasting room — a unique set-up for a city-based winery that shows the company’s attention to finely-crafted wines. In two unassuming buildings off Highway 21 stands McRitchie Winery and Ciderworks. These twin structures aren’t the family home as they appear but rather they are the base of a high-efficiency, highly-skilled winemaking operation built on decades of experience. Sean McRitchie began learning the ropes of making wine in childhood, as his father was a winemaker in Oregon and California. After gaining experience in the U.S. and Europe, Sean and his wife Patricia planted their first vines in North Carolina in 2004. 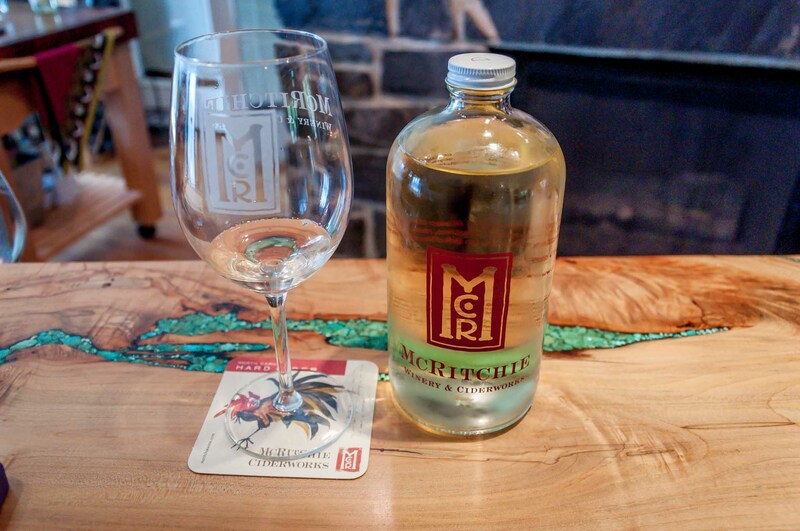 By 2006, the McRitchie Winery and Ciderworks was open. Using low-impact methods, the McRitchies strive to yield the best and purest products from their North Carolina raw ingredients. Their grapes, including European varietals such as Chardonnay and Petit Verdot, are estate-grown or otherwise sourced from around the Yadkin Valley. Their cider apples are grown at an orchard in the Brushy Mountains that has been family-run for three generations. 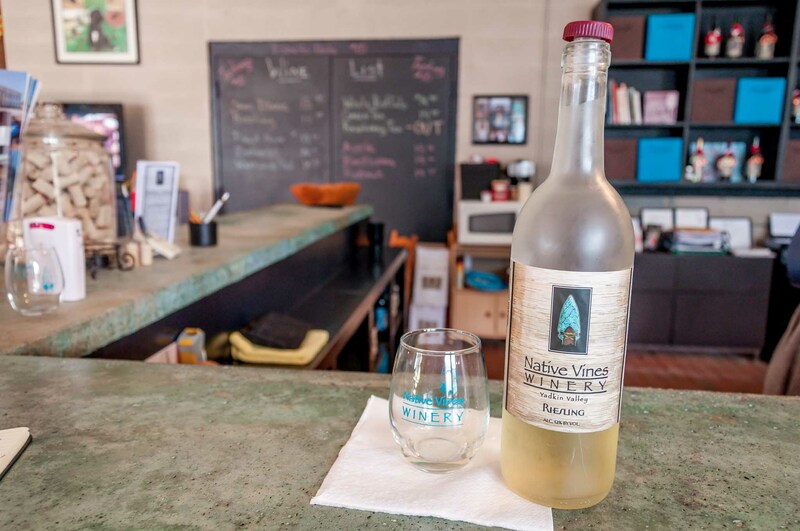 These sustainable efforts and local products have resulted in award-winning artisan wines and hard ciders that are a must try on any trip through the Yadkin Valley. 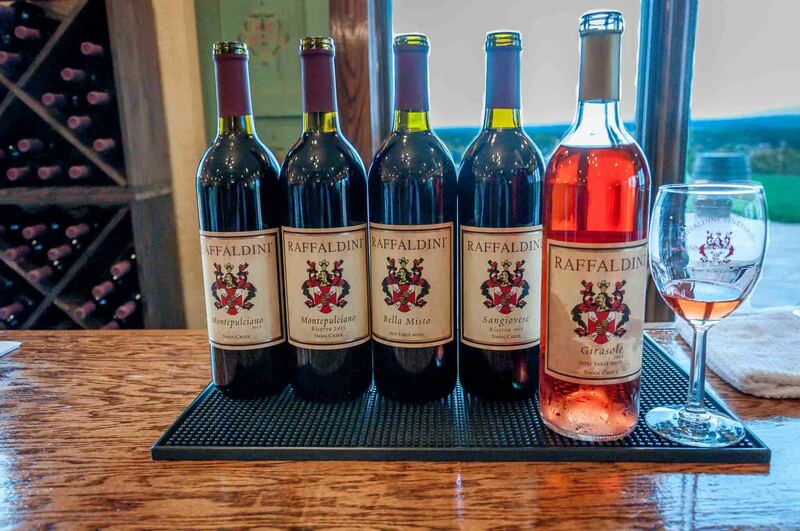 Despite a slight drizzle outside, the tasting room at Raffaldini Vineyards was already buzzing with guests when I arrived just after opening on a weekday. 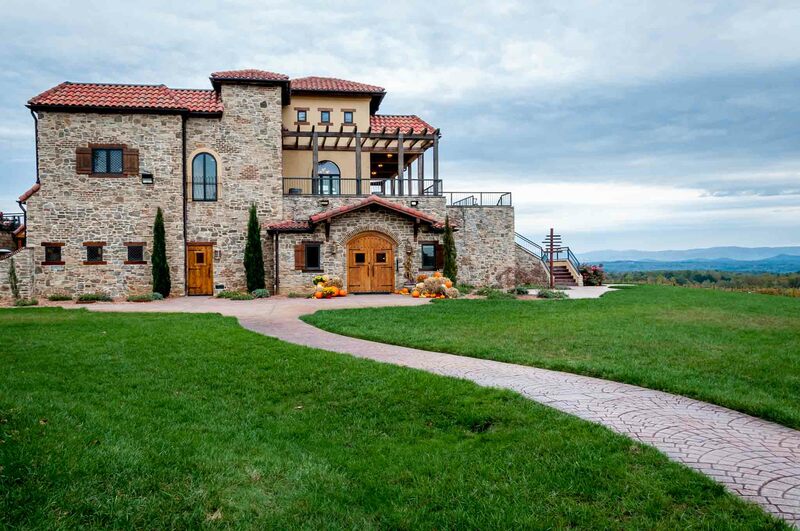 With its scenic views and expertly crafted wines, it’s no wonder why this Italian-style winery is one of the most popular wineries in the Yadkin Valley–and, indeed, in North Carolina. Situated on the hill above a 40-acre vineyard, the stone-covered Raffaldini Vineyards villa could easily be mistaken for any property in Tuscany. Its aesthetics not only make for a lovely environment for a morning of wine tasting but also echo the Raffaldini family’s Italian heritage. The family can trace its roots back over 600 years in northern Italy — a history that informs much of what they do today. The Raffaldinis’ heritage and knowledge of Italian winemaking is present in everything from the choice of the Italian grapes grown here (Sangiovese, Montepulciano, and Pinot Grigio, among others) to the labor-intensive method of drying the fruit through a process called appassimento. By carefully choosing grapes that will thrive in the inhospitable Yadkin Valley soil and applying time-tested techniques, the Raffaldini family creates bold reds and delicate white wines with complex structure and flavor that are still accessible to all wine drinkers. I was the guest of Visit North Carolina and each of the Yadkin Valley wineries. Opinions of the dry, sweet, and downright sublime are my own. 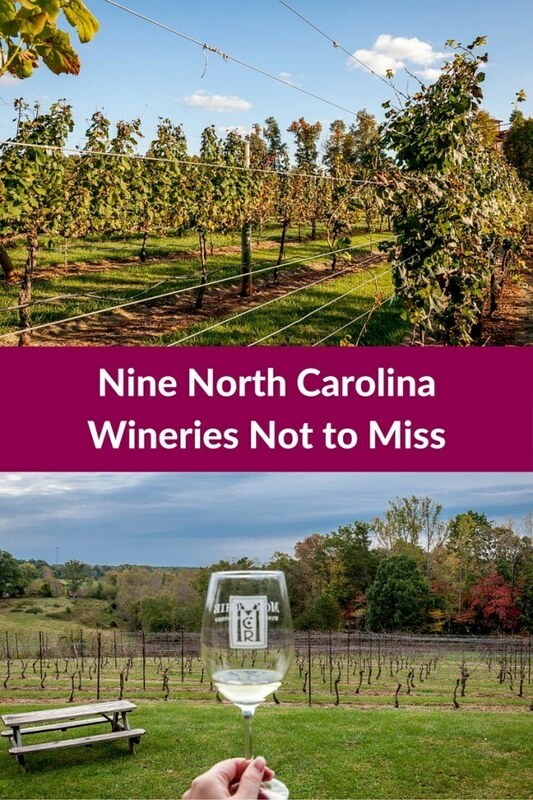 Have you visited any North Carolina or Yadkin Valley wineries? What did you think? What do you think about Nine Yadkin Valley Wineries Not to Miss? You overlooked my top selling NC wines from our Yadkin Valley AVA, Jones Von Drehle. Exceptional! Malbec, Tempranillo, Cabernet Franc, Viognier, Petit Manseng and Steel B. Fermented Chardonnay…? I wasn’t able to visit everywhere, but it’s always good to have a reason to come back to North Carolina! Visit us next time, too! Wow! What a guide! Love this! Great pics! Great rundown, certainly a go-to guide for area wineries! Thanks for posting, Laura!